Saudi Arabia may have had the best of intentions for its inaugural Girls’ Council meeting, but photographs from the event suggest the Saudis were missing a vital element, actual women. While Saudi Arabia’s lack of gender diversity is hardly a surprise in a country where women must seek a male guardian’s permission to work, study or travel, the irony of a girl's council being entirely void of any women was not lost on the internet. 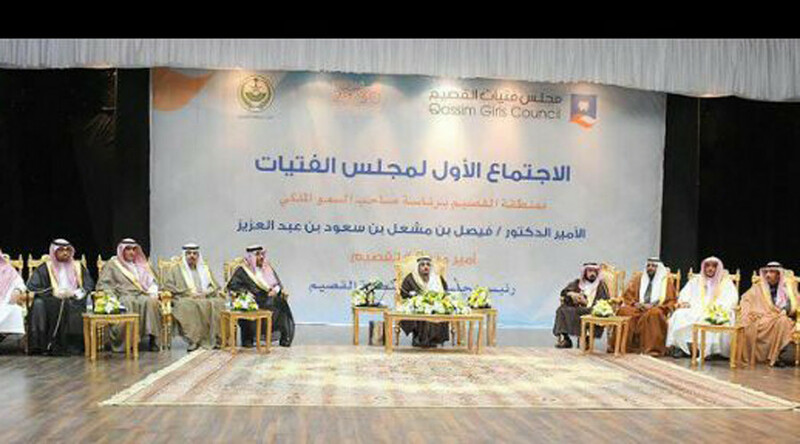 Meeting of Qassim Girls Council in #Saudi! I did not know that #Saudi girls have beards! The Girls Council was launched in al-Qassim on Saturday, led by Prince Faisal bin Mishaal bin Saud. His wife, Princess Abir bint Salman, was not featured in the photograph, despite her position as chair of the council. Luckily, the girls weren’t entirely banned from the council, but were allowed to watch the meeting via video feed from a separate room, according to Al-Araby. As images of the council meeting spread online, many reacted with uproar, with some comparing the image to that of President Donald Trump signing an abortion-related executive order surrounded by men. Saudi Arabia has a policy of segregation between the sexes. The World Economic Forum’s 2016 Global Gender Gap report ranked Saudi Arabia 141 out of 144 countries.